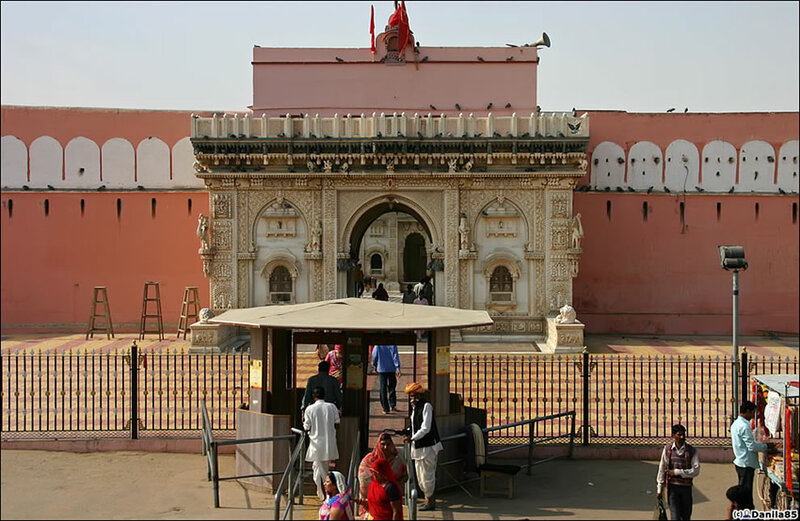 Approximately 10 years ago, either National Geographic or CBS 60 minutes produced a documentary on this temple and showed more detailed description of the temple and interviewed priests and devotees of the temple. pl tell me train rout for karana devi temple. 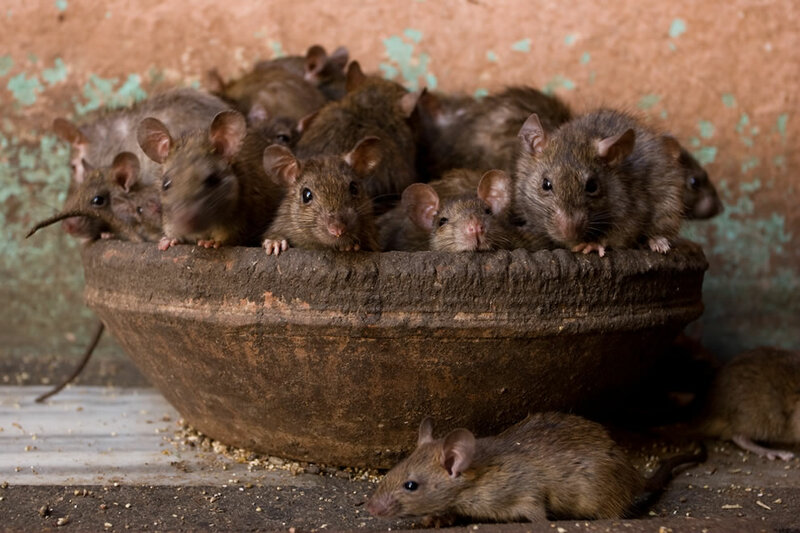 I love rats. This is definitely a place I would love to visit. It is fabulous, emotional, pure! 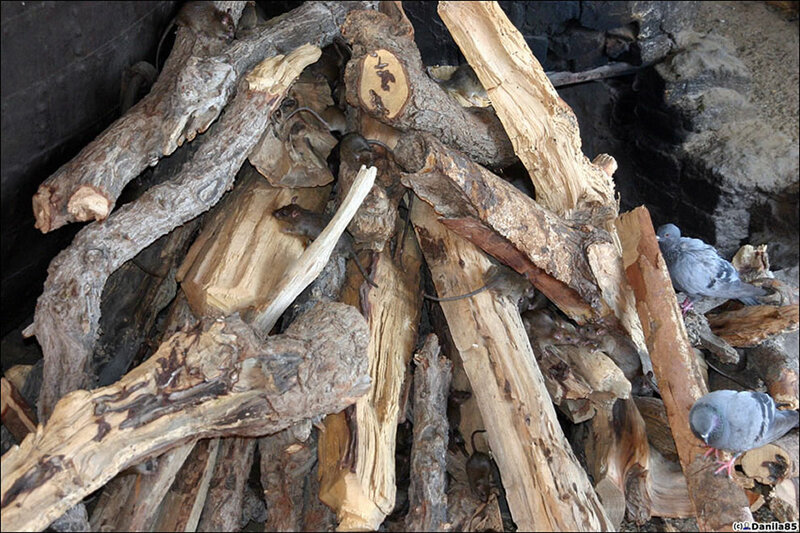 You, Indian people are fantastic, moral and up by everyone of us! Evil creatures, do you really believe that? No animal is evil, that’s just ridiculous. 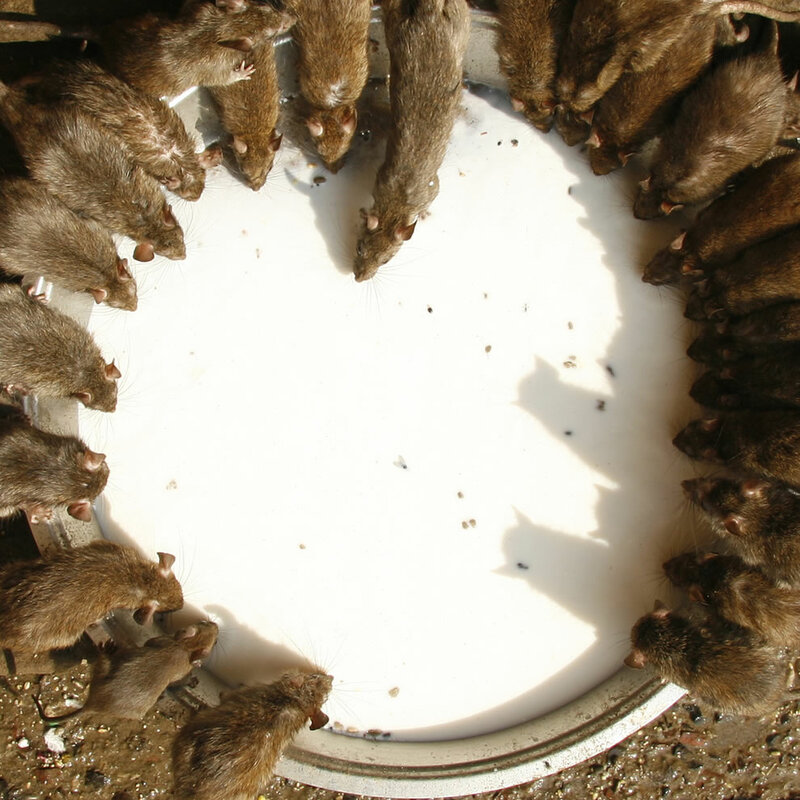 Rats are intelligent, social creatures. 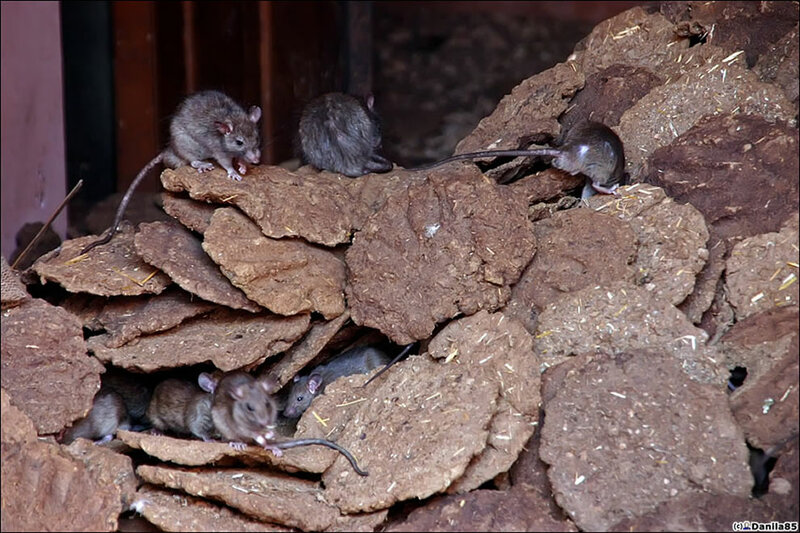 Ohe ones we have domesticated – from the wild brown rats, not the black ones that were vectors for plague-bearing fleas by the way – make great pets. 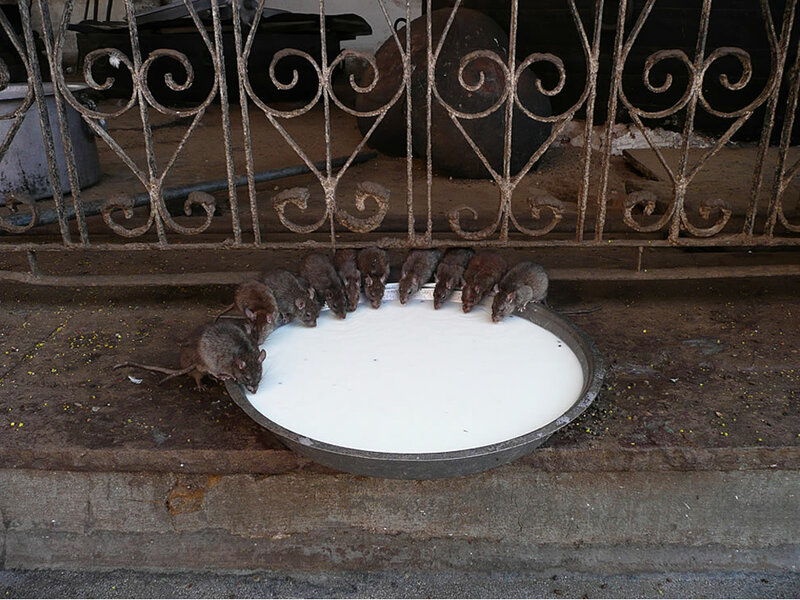 I doubt there is any disease among this rat population that could affect people in any way. 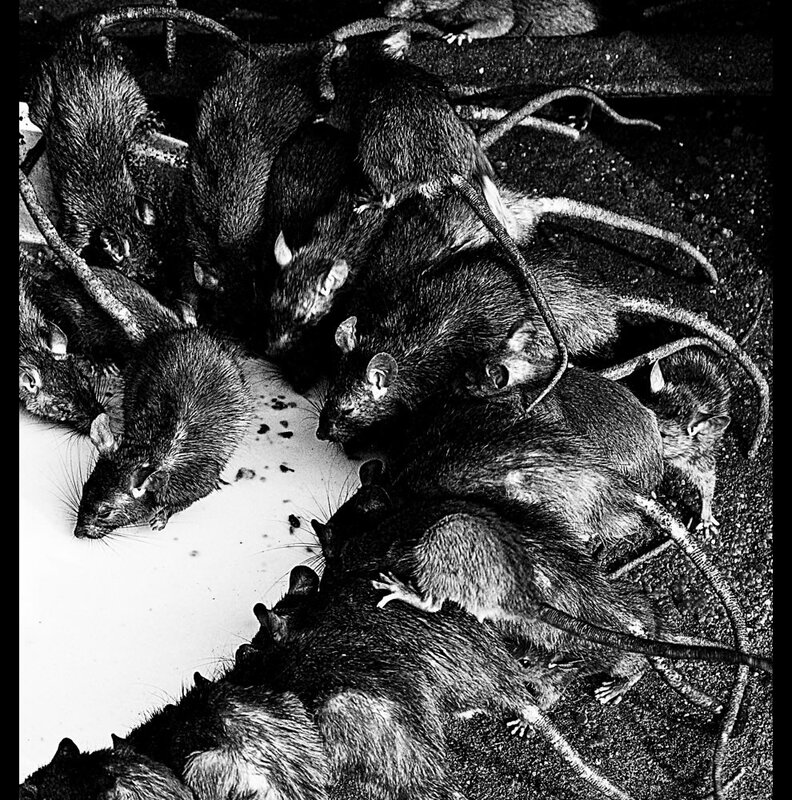 In fact currently impact from diseased rats is pretty non existent. 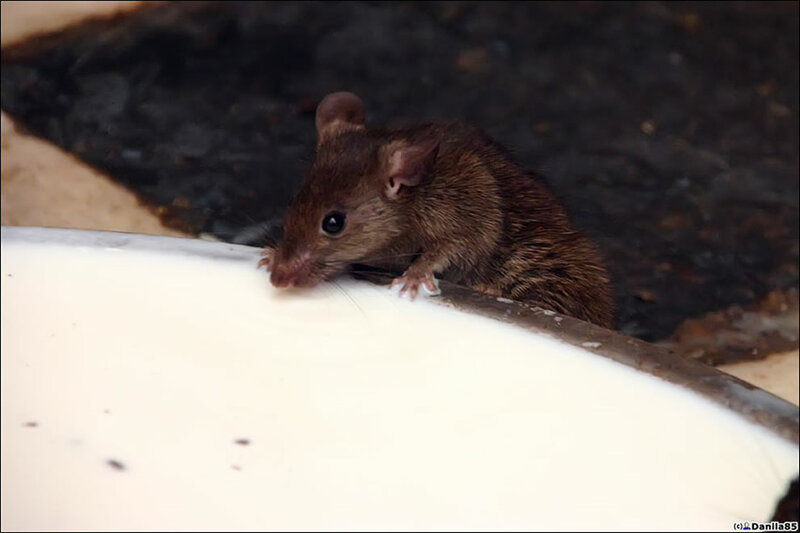 People get sick from PET rats far, far less often than from infected dog bites or parasites from cats just as one example. Mason, you are so full of sh!t that your eyes are brown. You create this lie without any scientific evidence to back it up. Shove such ignorant comments back up your arse and take a microbiology or infectious disease book out from the library; that is, if you can read. 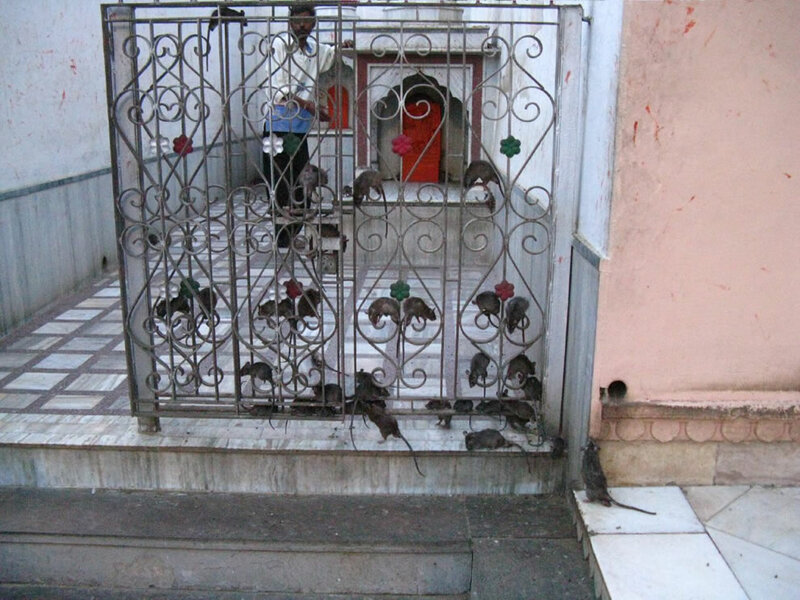 I don’t get it with all the being scared of rats and saying how freaked out you would be? What exactly do you think they are going to do to you, make themselves 10 times bigger and eat you? 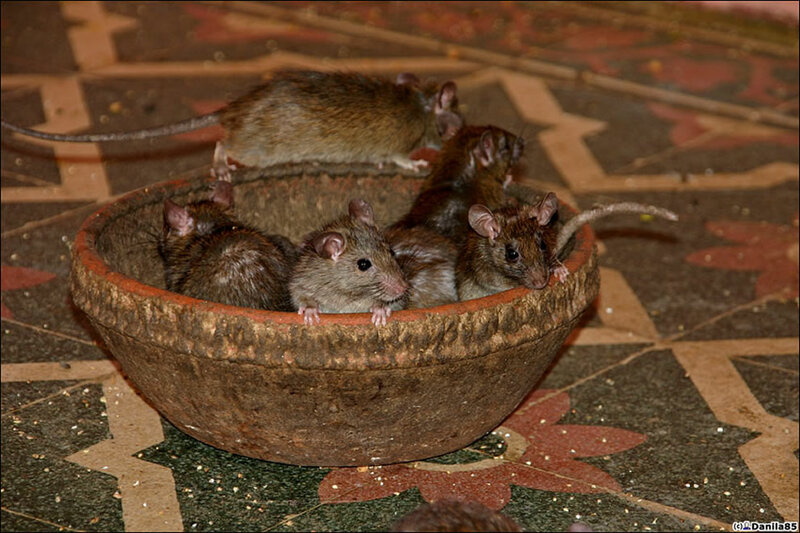 I have 5 pet rats at home and they are lovely! And to the person above who says they are disgusting and spread disease – you are rather uneductated. They don’t spread disease anymore than a domestic cat or dog would. People like you who are so quick to judge are disgusting. Very very very disgusting!! 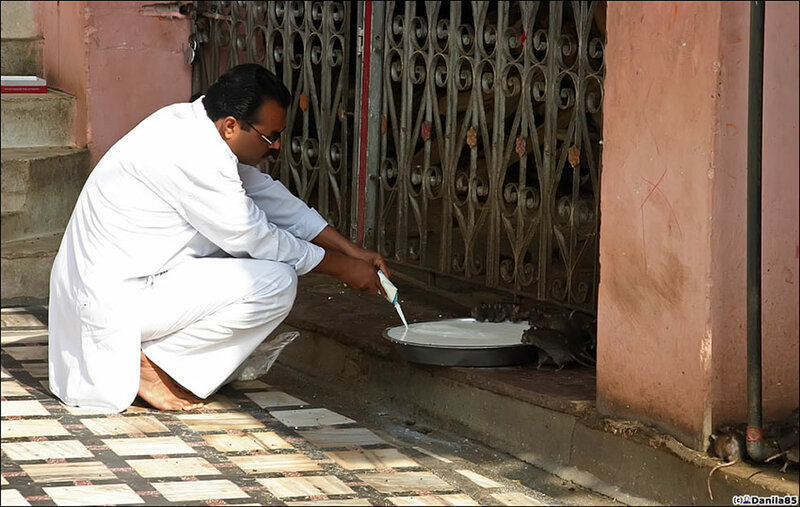 Seems like Indians really really don’t know what is hygiene and proven in any areas. 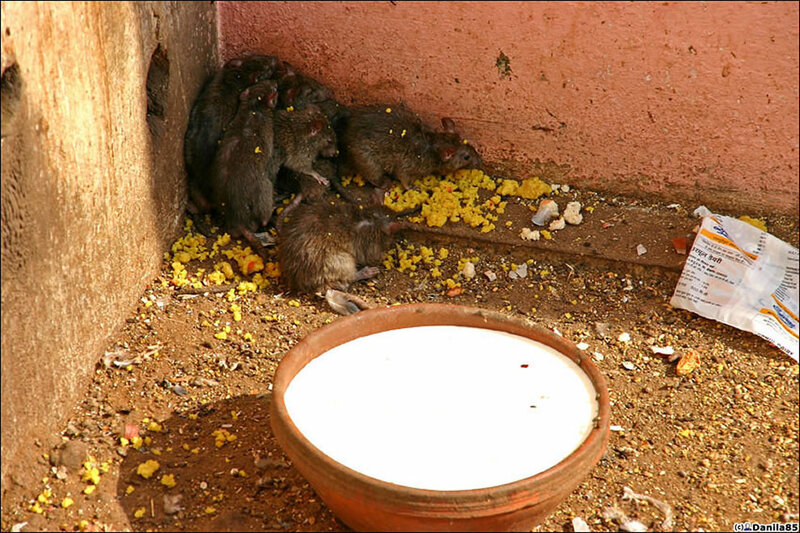 Rats carry diseases and look horriblely disgusting!! Thank you for sharing the pictures and you’re brave to go close to those creatures~! I will never can!! 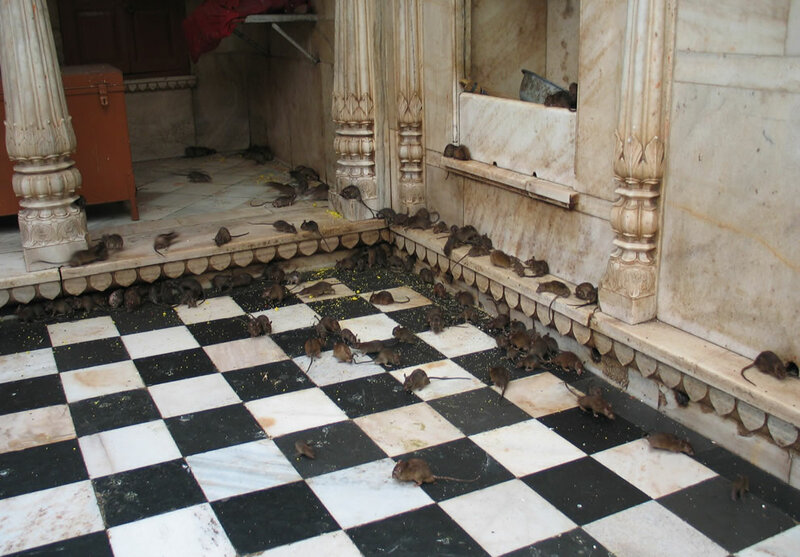 I have just been watching a fantastic wildlife documentary called ‘Wildest India’ that showed this temple. 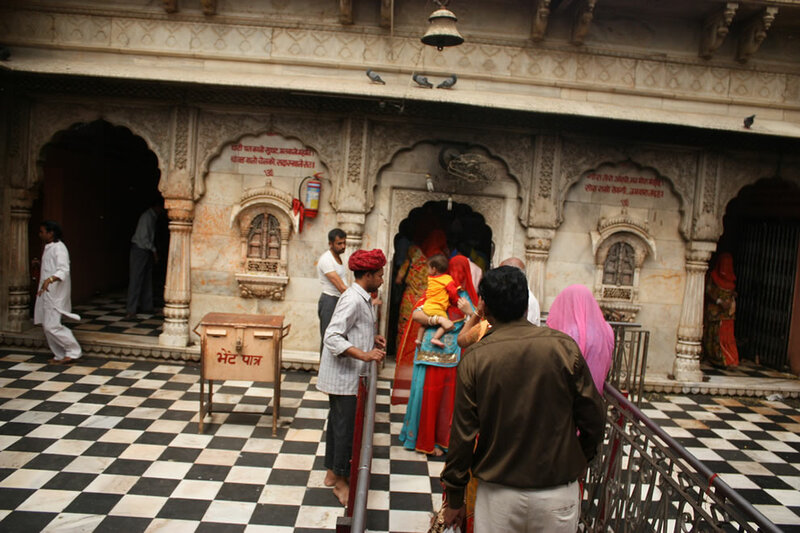 According to the narrator, there has never been an outbreak of illness at the temple. Europe. 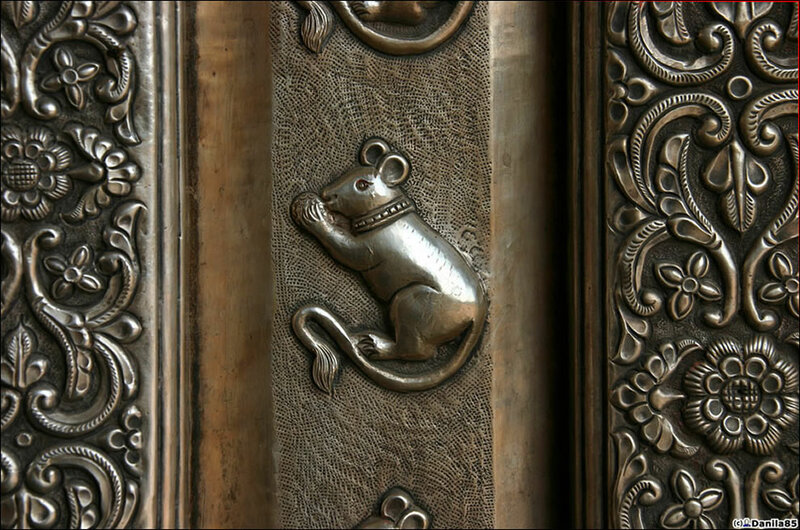 The most recent rat vector plague was in 1994. 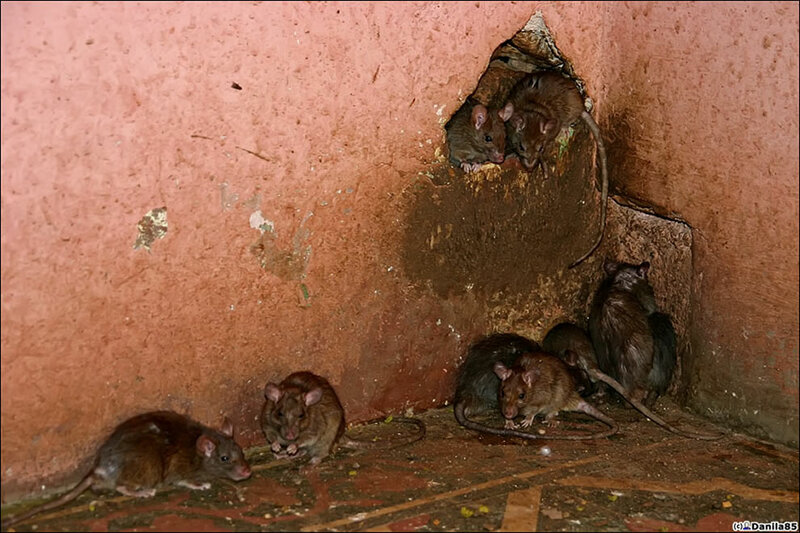 So don’t pass on lies about how clean and acceptable rats are, when that is simply untrue. Dear (doctor) Louis Pasteur, if you really had that much education you would not be so ignorant. You are just a fearful and hateful cog in the wheel of a propaganda-producing capitalist society. Do you really want to know why humans are TAUGHT to fear and hate other animals? It is so ignoramuses like yourself will continue to support the exploitation of animals in the animal industries; i.e. vivisection and factory farming. Hating other species is based on fear and brainwashing techniques, put in place to keep the population compliant. You can catch more diseases at your local public school. Open a book. 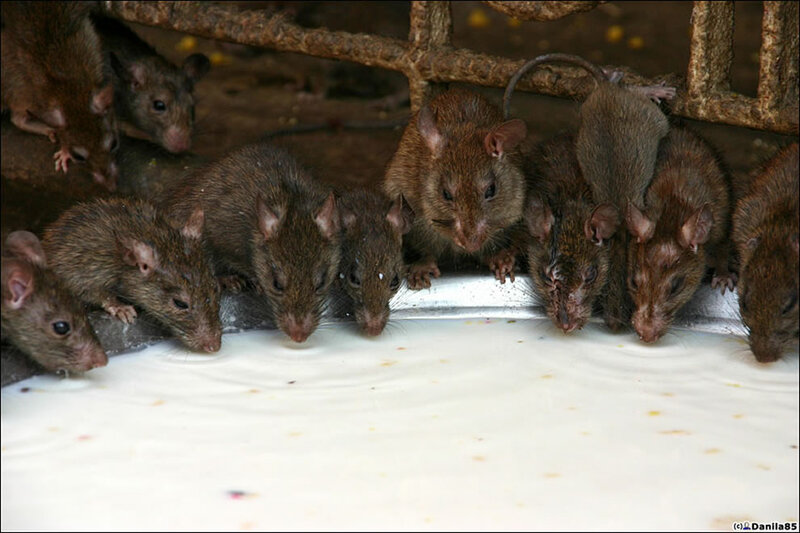 How nice to see these photos, I like them, ,because I like rats, they are nice, and it’s a pity most people donÂ´t like them. Friends! On behalf of all here let me congratulate our brother photographer for his awesome. 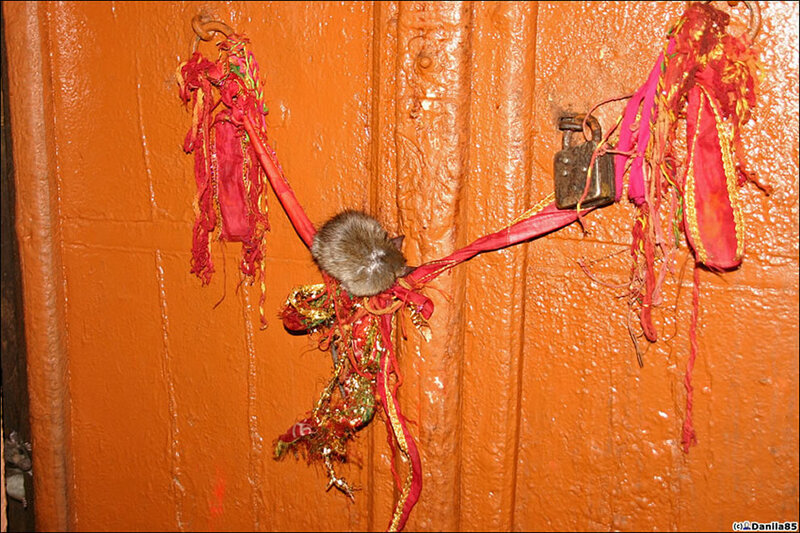 Well, there are different kinds of rats. The ones most people fear are the ones we see on the street, ready to spring at you and bite. 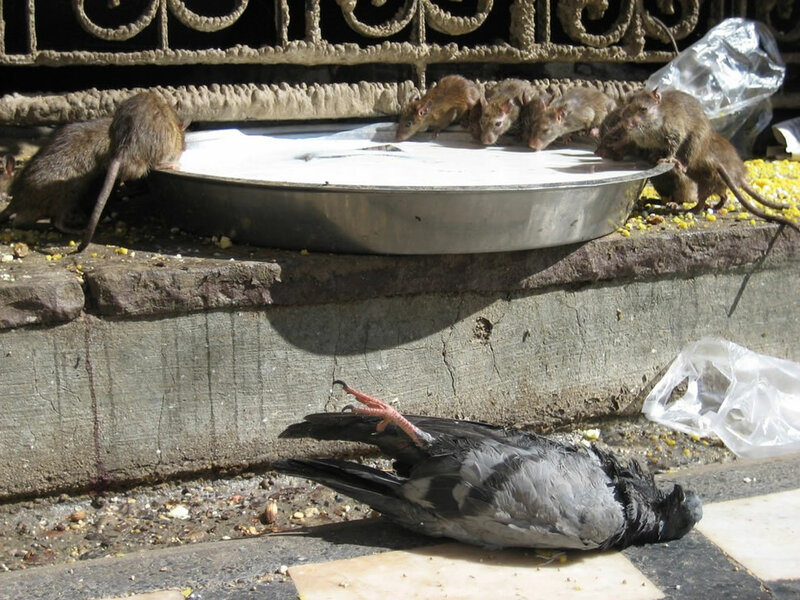 We call them sewer rats, and generally, they’re huge and hungry. 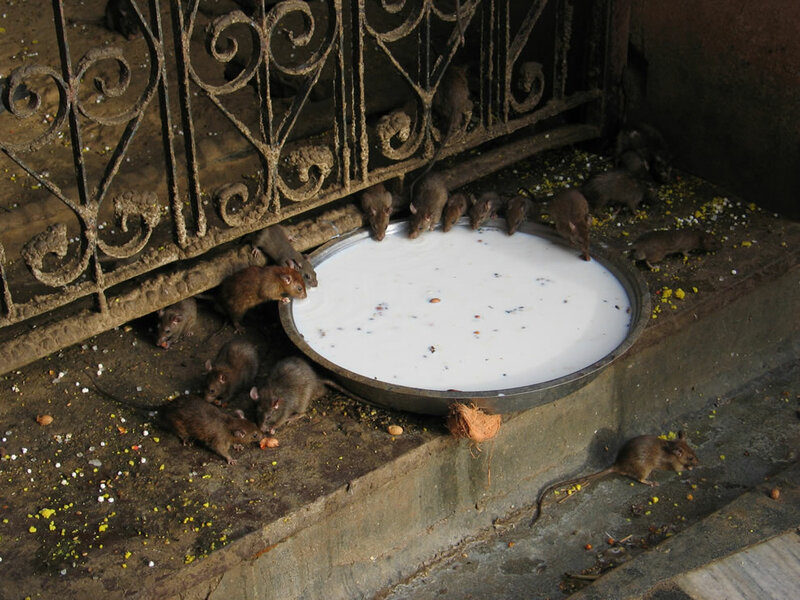 The little creatures pictured here seem a lot smaller, and because they are fed and perhaps with their families, they seem less aggressive. 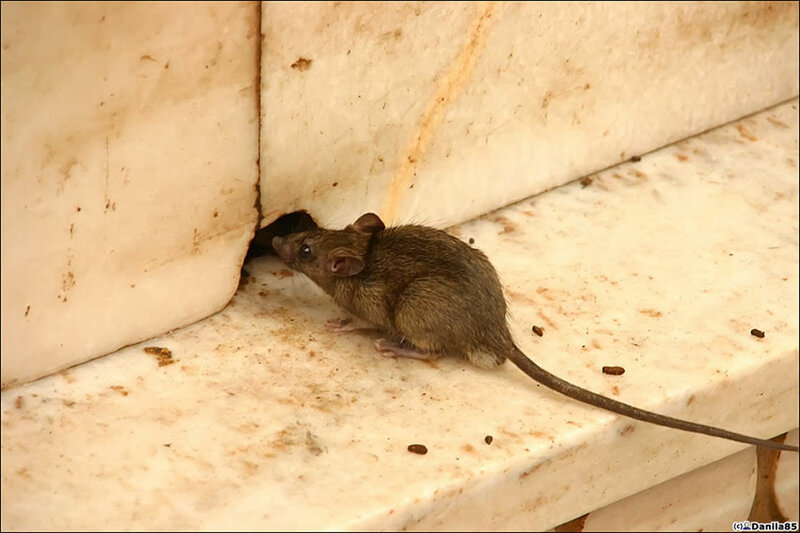 They more resemble the kind of rats we have as pets here. 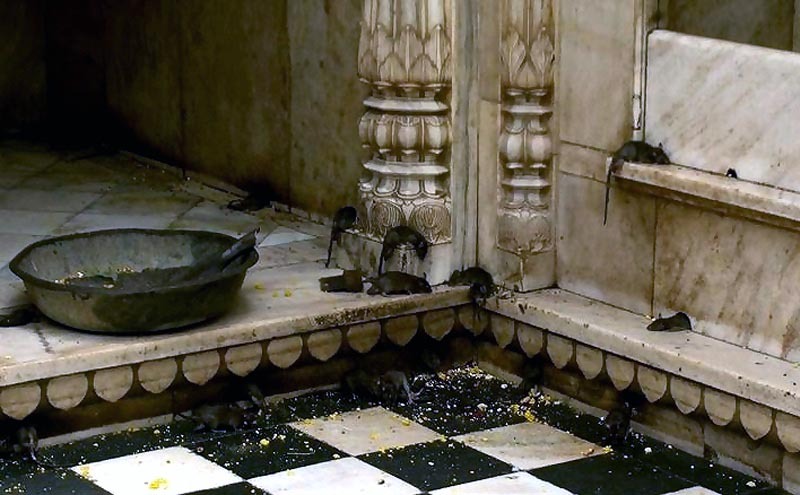 actually I have no idea wheather those rats are nice or not .I myself get so fightened when I see one,but Im eager to know the story of this temple and how the rats became holy in the minds of indians . Little Loves! Just so sweet. Sorry I’m sucker for rats. They’re canny creatures and deserve a lot more respect than we give them. 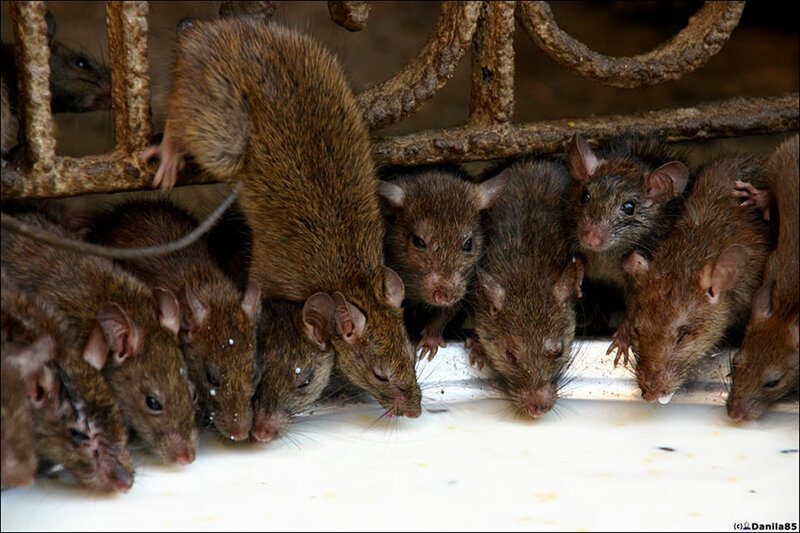 They only follow the dirtiest, filthiest creatures on earth -namely humans- and they are actually very handleable, sentient and tactile mammals who respond well to kindness. -. 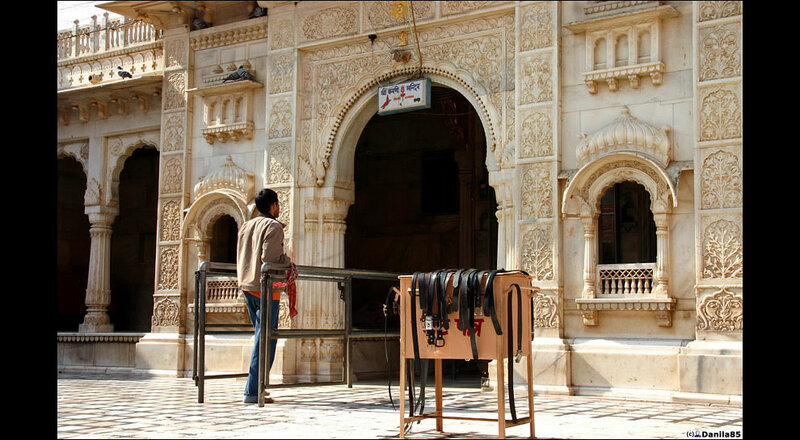 ShingnaPur – the village where there is no doors and locks in homes. -. 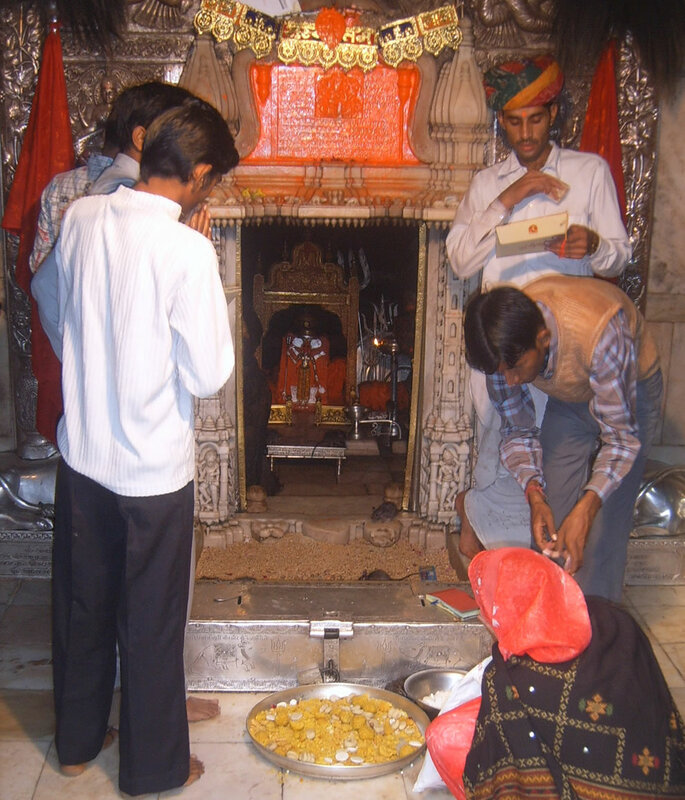 MehndiPur Balaji – The only Mass Exorcism Temple in the world..i was bit scared here..
Hello Raj. 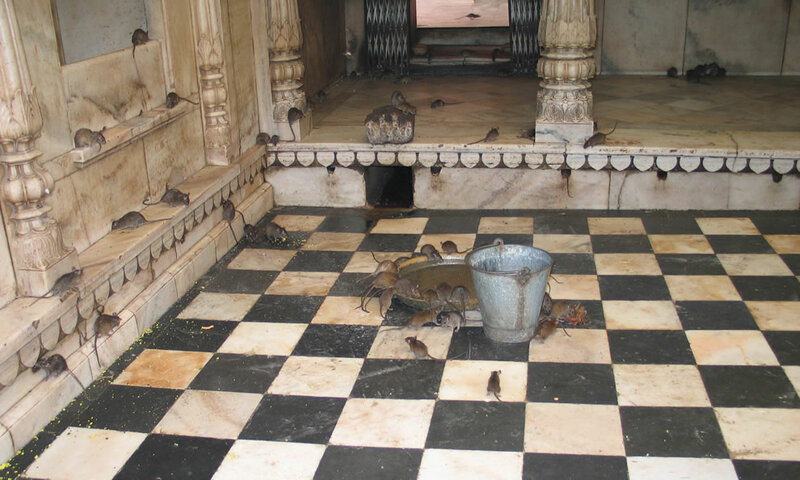 The one place I am definitely going to visit when I eventually manage to travel to India is the Karni Mata Temple. 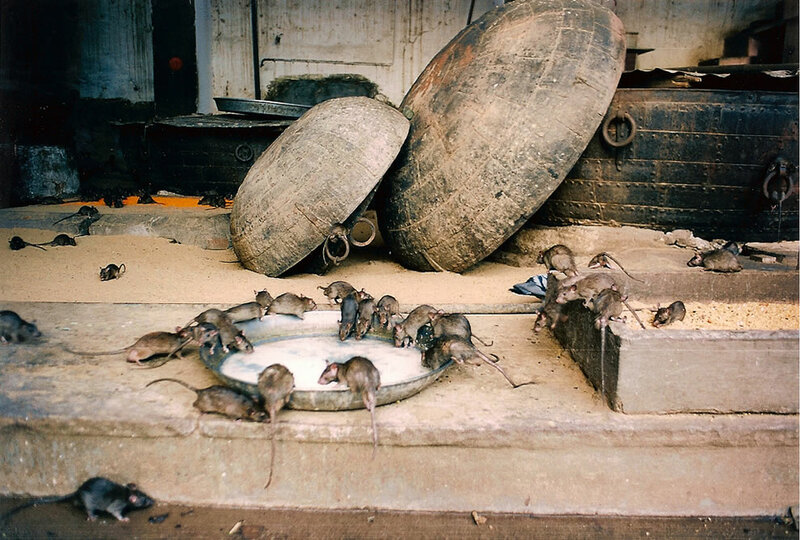 It is fantastic that a safe place like this exists for rats, given what humans normally do to them! 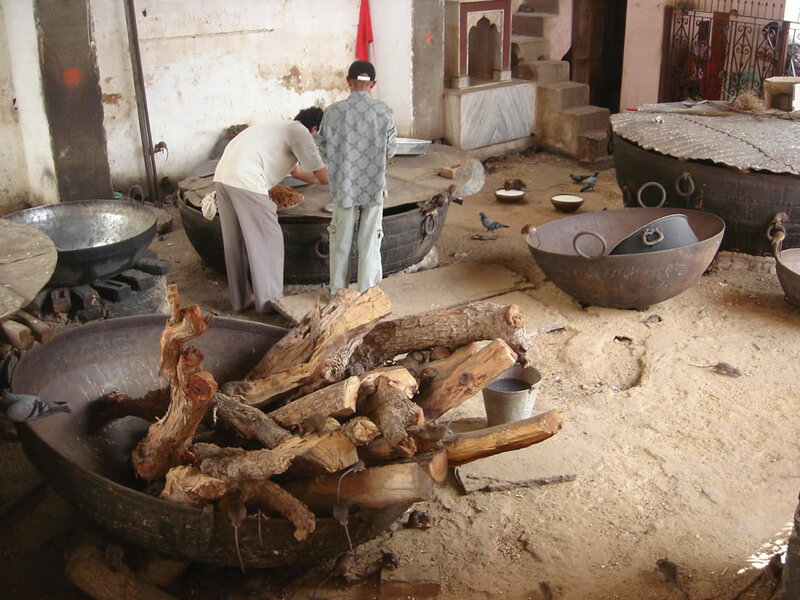 Thank you for your list of unusual places to visit. I, too, could be called a ‘freak traveler’ as I prefer to visit unusual locations, so it’s always good to find recommendations. Thank you so much for posting these incredible pictures. 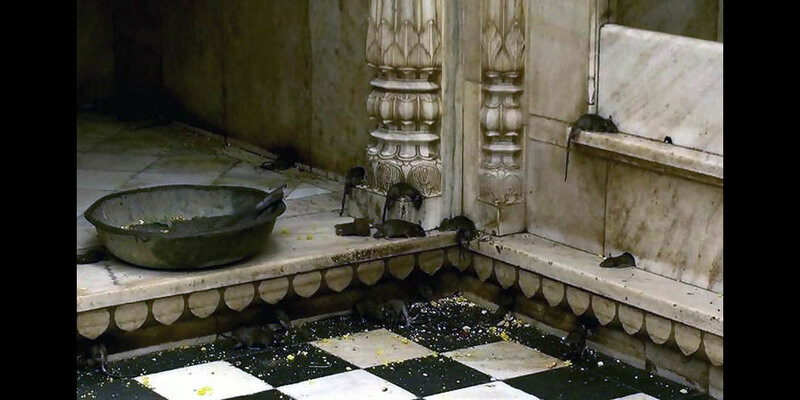 I love rats, I have three of them myself and love seeing pictures of the rats being so well taken care of in this rat temple. If I were a traveling person, I would very much love to go to this place. The pictures are really cool man! 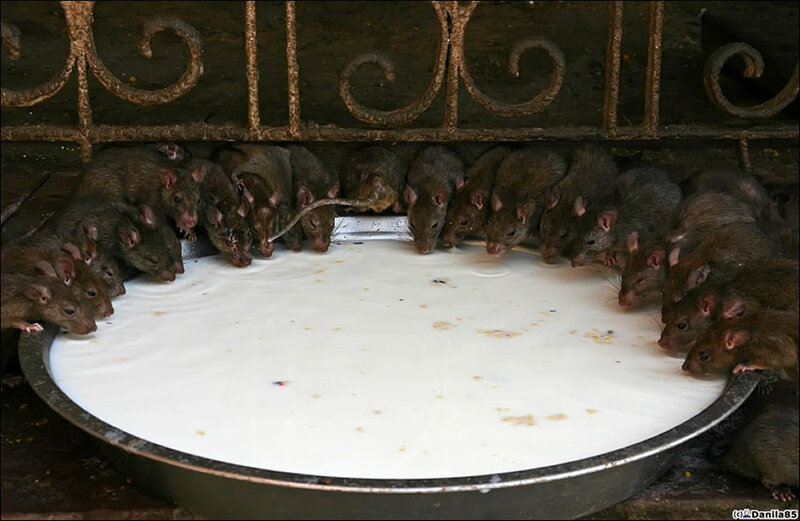 just fell in love with these pics inspite of the rats being disgusting…but alas the rats seem more cool than my disliking..ended up loving these creepy fellows…let me say one final thing…May their tribe increase! man thats too awesome! 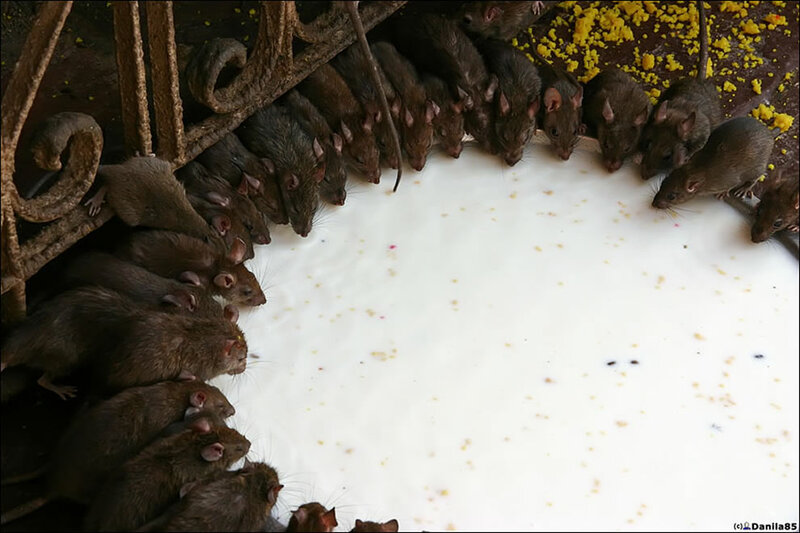 really a vessal full of rats! Thanks for your comment Varghese. 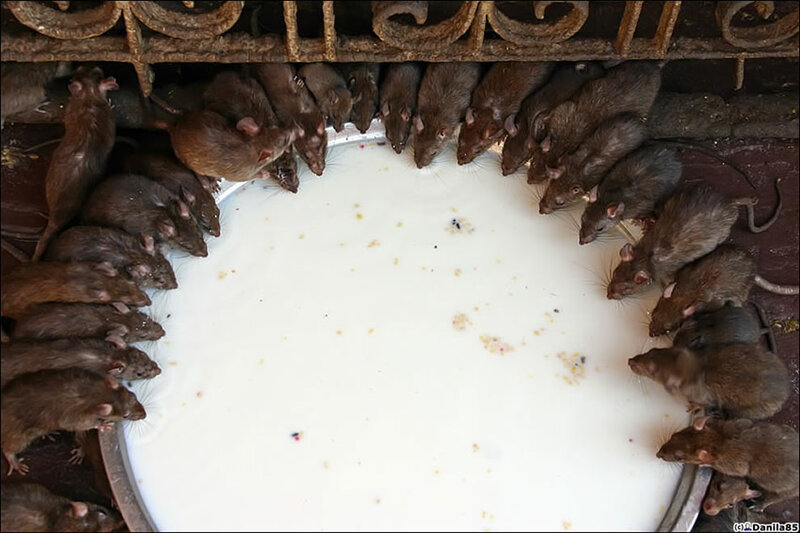 I agreed to look after a couple of pet rats that had been abandoned on somebody’s doorstep one christmas. I must admit they completely changed my outlook when I found what canny, sentient, highly intelligent creatures they actually are. When one of them finally died, the other one actually pined for his missing companion, and himself died soon after. So it seems they are even capable of basic emotions. 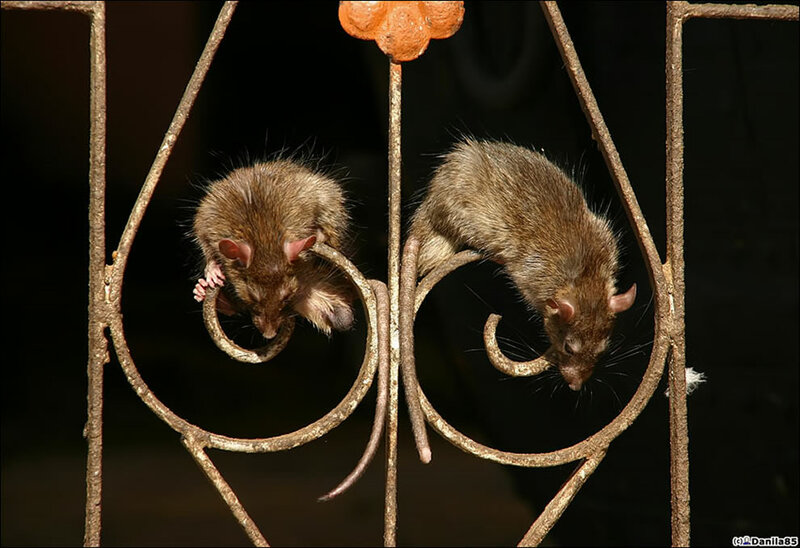 There is only 80 million years difference between humans and rats, we ourselves are descended from a small mammal that was very much a rat.